Learn how to build a better team from elite athletes. Get career advice in your inbox! Soon, Americans will tune into 28 sports in the Rio Summer Olympics and 23 in the Paralympic Games as Team USA takes the world by storm. No matter the competition, individual or team, each athlete has a team of supporters. Teamwork is essential to an athlete’s quest for gold. With the Olympic Games, just two weeks away, we thought we’d uncover what lessons Team USA has to teach us about teamwork. But, it wasn’t a miracle. It was the epitome of what teamwork can overcome and achieve! At Adecco, we take these lessons to heart. A great team in your office can blow sales goals out of the water and create lifelong positive relationships with employees and clients. The reason we invest in Team USA’s journey to the Olympic Games is because we see the value in what this tradition teaches us. Here are 8 attributes to cultivate in a successful team, on and off the field. Trust – Ever heard of Goalball? It’s a Paralympic sport for the visually impaired, all athletes are blindfolded. You cannot succeed in this game without synchronization that can only be derived through trust. Everyone must have each other’s back 100% of the time. Trust is vital for creating an atmosphere where you and your team can succeed. Respect – Most of us have watched a gymnastic team event. It’s true, every athlete has their specialty. What you may not notice is that their scores are tallied collectively, working together to win gold! Capitalizing on the individual strengths and respecting the differences of each team member can make your team stronger together. Honesty – No Olympic or Paralympic athlete achieved greatness without being able to receive honest feedback from their coaches and peers to make incremental improvements in their performances. To continue to improve and become the best, one must get used to constructive criticism. Being self-aware and open to exchanging feedback is key to a winning team. Flexibility – Olympic sailors never have the same course conditions twice. Changes in tide, wind, and weather mean they have to adjust their expectations from start to finish. Being open to change and able to course-correct swiftly as a team can help contribute to your success. Motivation – Olympic and Paralympic athletes get out of bed everyday and give it all they have. Sometimes the training is painful and repetitive. It doesn’t matter. They show up prepared to become the best at their sport! When your team members are self-motivated, it’s infectious and is often what an organization needs to come out on top. Clear communication – Whether it is a cycling peloton or an exhausted boxer receiving instructions in the corner between rounds, clear communication is essential in the heat of competition. Not only being able to articulate yourself verbally, but knowing what your non-verbal mannerisms communicate to those around you, can help foster positive relationships in your team. Common goals – It’s not too difficult for any Olympian to identify their goal – Win gold. Business goals are more complex. Defining and clearly communicating the goal is necessary to ensure everyone is working toward the same end. A great coach or leader – Herb Brooks, coached the rag tag US hockey team in 1980. He is credited with molding the amateur athletes into the best in the world! Everyone has heard the term “too many cooks in the kitchen”. While not everyone can be the leader, every team needs an effective coach to define a clear path that defines success. Whether you are an ice hockey coach for Team USA, an HR Director, a CEO, or a picker packer….remember what you can achieve with great support and excellent teamwork. Don’t depend on miracles. Focus on creating a gold medal team. What will you do to make your team work? 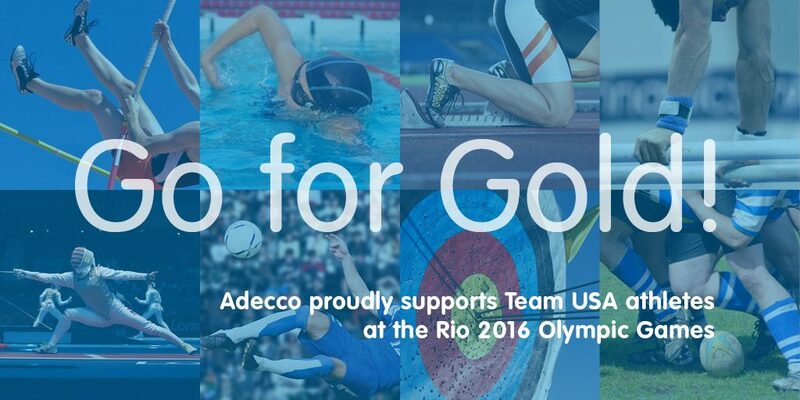 If you are looking for qualified employees to create your winning team, contact us today and don’t forget to support Team USA at the Rio Summer Olympic Games starting August 5th! Thinking internships might be a smart path for you? The good news is that the value of internship experiences are still strong in the eyes of employers. According to an annual survey done by the National Association of Colleges and Employers (NACE), 95% of employers reported that candidate experience is a factor when hiring. 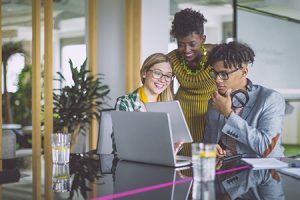 Finding the […] Read Article "Internships 101: Simplifying Your Search in 3 Steps"
Apprenticeships are a time-tested idea that is getting new life as employers seek better ways to develop and keep talent. In Italy where I grew up, and throughout much of Europe, apprenticeships have remained a staple of workforce development. In Switzerland, for example, 70% of high school graduates enter apprenticeships in “new-collar” fields such as IT, […] Read Article "Apprenticeship: Old Idea Offers New Opportunity"
Are you a Veteran or Military Spouse? Which career fields are you most interested in?